1. Confusion or decreased alertness, sunken eyes, Pale skin, dry mouth in a child with vomiting & diarrhea, contact Doctor immediately. 3. Jaundice is seen due to contaminated water or food ingestion. Personal hygiene mothers during cooking is utmost important. Trim nails. Hands should be washed properly. Clean hands without threads, bangles reduce the source of contamination.Proper cleaning of cooking surfaces used for preparation of raw foods is very important step to avoid infections. Child should rest while he or she has fever or jaundice. Child should avoid eating fatty or junk foods. 4. Do not give any herbs supplements without checking with your doctor first. Some may affect the liver or have unexpected side effects. 5. Burp your infant frequently, give smaller and more frequent feedings and keep them upright for 20 minutes after feedings. 6. Many diseases can be prevented by doing sole breast feeding child till first 6 months of life. 7. Don’t force a child to eat fast and do not let him sit indefinitely over the food. If child is avoiding particular food baby may have some food allergies, consult your doctor. 8. Not gaining weight is an important issue needs to directed and discussed with your doctor. 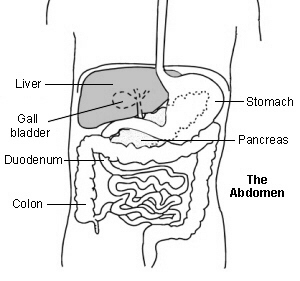 Digestive system abnormalities can be diagnosed and treated.